At its Windows Phone 8 event in New York City, Nokia not only showed off its flagship Lumia 920, it also showed off some of Nokia's unique Windows Phone apps and features, including its new PureView Camera and Nokia City Lens technologies. Nokia's City Lens is an augmented reality (AR) application that allows users to find things to do — and get more information about a location — simply by pointing their phone's camera at a location. The app was released in beta back in May and the final version of the app is available in the Windows Marketplace, as well as on the Lumia 920. Mashable's Emily Price remarked in our live chat that the early versions of the app worked quite well. You can view a demo video Nokia created in May to get an idea of how the app performs. City Lens is the latest app in Nokia's Navigation suite of apps. This suite includes Nokia Maps (formerly known as Ovi Maps), which includes true offline map access (not just offline caching) available within any application. A number of different companies have dipped their toes into the AR waters over the years — including Yelp and Google Places. 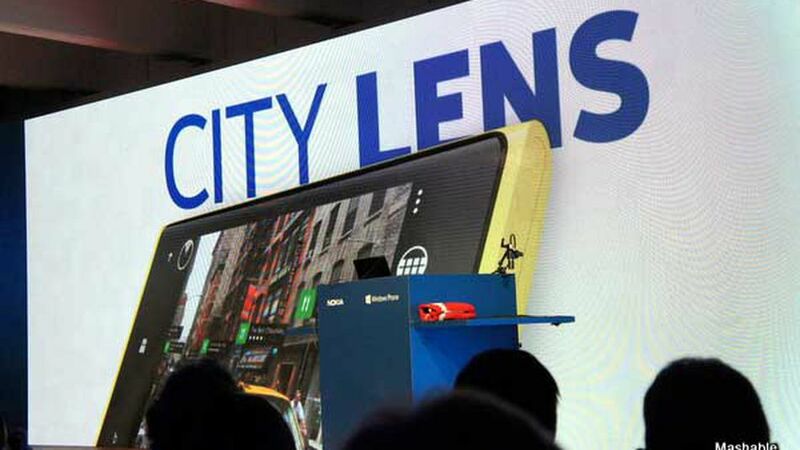 From the demos, Nokia's City Lens looks like the most accomplished try at the technology yet. Would you be interested in using an AR app on your phone to find nearby places, shops and location information? Let us know in the comments.